has been created to serve the New Bitcoin Mining Enthusiast and the O'le Forty Niner Bit Miners alike. Here you will be able to find information about Hardware (Miners) and the Software for - Wallets, CPU & GPU Miners, Bitcoin core, and much more. The second wave of Bitcoin mining is on the horizon. Don't miss this opportunity to profit on Crypto-currency. While our main focus is on Bitcoin we will be adding sections on other trending coins soon. Our coalition of Nerds here at the Crystal Palace are working on The Black Box Network Mining Pool, and will be in the beta test phase in January 2016. Stay tuned and so you can join us in this renewed effort to share in the Bitcoin Crypto-currency adventure. The following videos are a quick look at the obvious Questions. In depth explanations for these and other questions can be found in the Video Library. 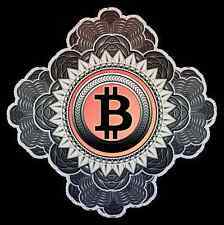 is a Free resource dedicated to the promotion and advancement of Crypto-Currencies. If you wish to help the Crew at the Crystal Palace to keep this site on-line a Bitcoin Tip or Donation will help pay the Hosting Fees and Electric Bill.